Try these brands on for size. The average Canadian woman is 5'4" tall, an interesting statistic when you consider that many apparel companies design petite-sized clothing to fit women 5'4" or 5'3" or under! 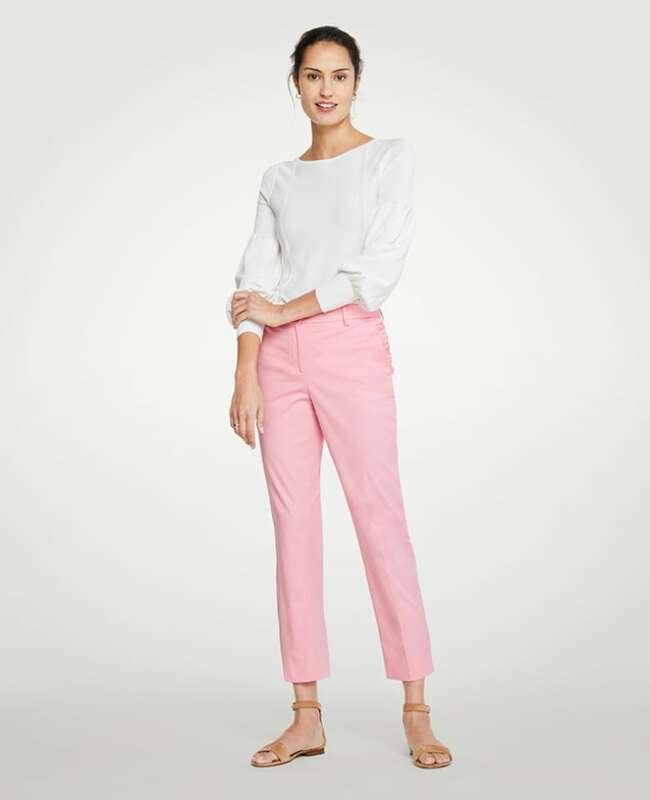 Petite clothing is not simply made shorter in length — although pant inseams might measure around 28" instead of the standard 30" to 32" — but designed to fit better everywhere: pant rises, arm holes, sleeve and torso lengths and details like knee and elbow patches are all tailored for a smaller frame. Plus, many retailers now offer the same cute styles in petite fit as they do in straight-sizing, although you can expect to find a wider selection online than in stores. So if you're tired of always having to get your jeans hemmed, or feeling like your jackets or dress shirts don't fit properly, you might want to check out the petite section of these stylish, affordable labels. American label Loft is good for cute, casual workwear and separates, especially if you love interesting prints and bright colours. Their website ships from the United States, but the Canadian retail locations also carry a limited selection of petite clothes in-store. This easy, button-front one-piece is a must-try if you've always wanted to wear rompers, but couldn't find one that fit your torso properly. Montreal-based retailer Reitmans offers a wide selection of petite-sized bottoms online and in stores; they come in sizes 0-22, and a few styles are cut for with an "ultra petite" fit. 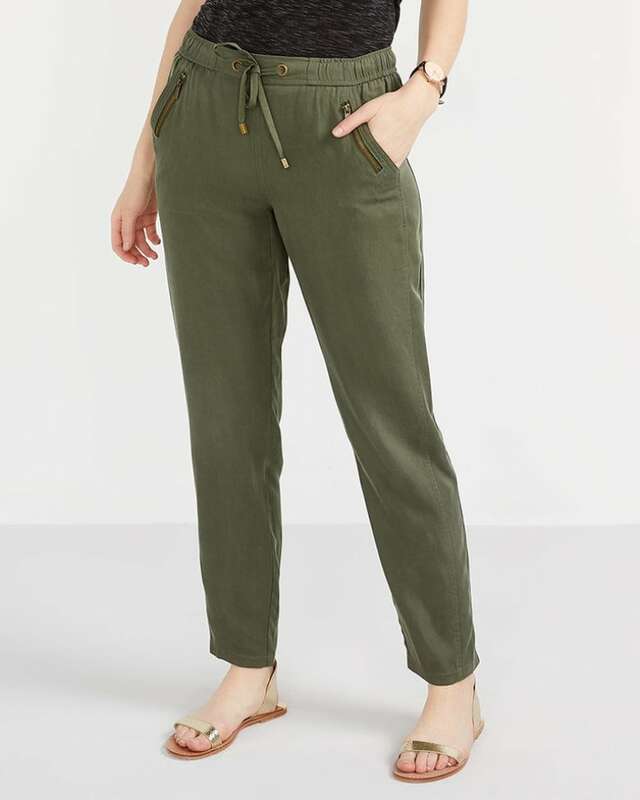 Make these drawstring pants your summer Friday go-to, even if your office doesn't let you sneak off early for the weekend. From pretty shirting to leather leggings and cotton pyjamas, a shorter gal could build a full, fashionable wardrobe through the petites section at J. Crew online. Although petites sizing is not available in Canadian stores, there's free shipping when you place an order at the store. At the top of the wish list this season? A pretty Liberty-print shirt. Banana Republic has an extensive petites section in many of their stores, and there are always great sales on the Canadian website; their tailored suiting and work-ready dresses are particularly well priced for the fabric and construction quality. A smart stripe is always a good idea for summer, and this dress can be worn belted at the office, and loose for brunch. 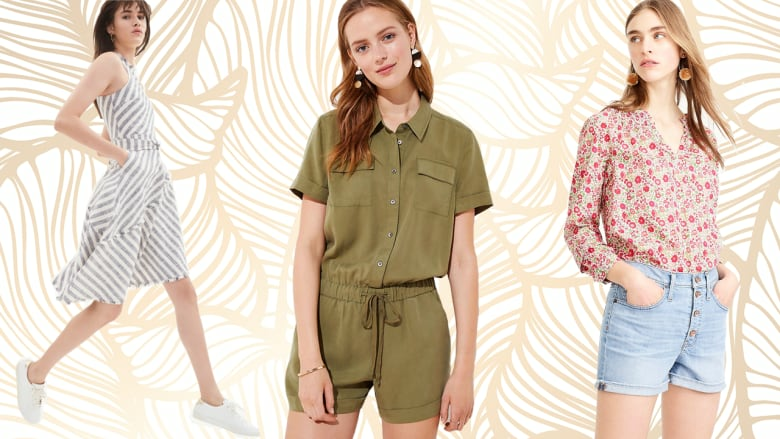 Gap Canada carries a wide selection of smart-casual petites clothing online, but the biggest draw is the great-fitting, affordable denim with shorter inseams. These jean shorts have a lace-up detail in front and convenient side zipper, making them a stylish alternative to your go-to cut offs. Ann Taylor offers suiting, workwear and fashionable statement pieces in petite sizes from 00 up to 16 online, although not for every item. Their petites section in-store is great, too, but the selection is understandably more limited. These curvy-fit, ruffled trousers are an easy way to add some colour to your summer wardrobe. Available exclusively at Hudson's Bay in Canada (although you can order from the UK website and pay duties) Topshop should be your first stop for stylish takes on the hottest trends. After all, you'll be hard-pressed to find a petite-sized crop or kimono-inspired top elsewhere. This cute crop, inspired by '90s logo tees, is designed to be worn knotted. Headquartered in Florida, White House Black Market offers a broad selection of petites apparel with a forgiving fit and elegant fabrics online and in their Canadian shops. This pretty maxi dress, available in petite sizes 00-14, is a great option for all those weddings and bridal showers on your social calendar this summer.